How many times can a community be redefined in a century? How many ways can it change the way it conceives of itself? A Century Songbook, a here-and-gone-again show at the Segal Centre, is looking like an attempt to find out. The show—a mix of live music, theatrical storytelling, and multimedia art—will run for five performances from Nov. 26 to the 29. The production will be performed by the Dora Wasserman Yiddish Theatre, which has been telling stories of and for Jewish Montreal since 1958. A Century Songbook is as well-placed as any show to survey the real-life events that defined and redefined Montreal’s slice of the diaspora. The show also probes the role of theatre as a whole, and the DWYT, in how those definitions are formed. “It’s the envelope, or the context, in which we tell all these other stories about Montreal. We’re very self-reflexive in that way,” said director Audrey Finkelstein, a lifelong participant in Yiddish theatre, and the former artistic and program co-ordinator of the DWYT. That makes sense for a show that wants to highlight historic moments of the last century and how they were reflected in the city’s Jewish community. But that ambition to span the representation of 100 tumultuous years raises the challenge of how to do it in an engaging, approachable way. How do you make a show that is conscious of its place onstage in the present day, but that plumbs the past for its material? “All of these historic moments are linked,” said Finkelstein, to personal accounts of individual characters. The way it’s framed is a look back, with contemporary characters talking about the stories that shaped the lives of those that came before them. The methods used to tell the pieces of A Century Songbook also employ a modern reflection on tradition. There’s a multimedia projection element, of historic scenes that complement their own representation onstage. The archival files came from the Museum of Jewish Montreal, among other sources. With the idea being those stories are universal enough for any person watching to connect with them, and with the history they represent. To that end, the music in the production is not just in Yiddish and English. It’s in six languages—because Jewish Montreal is diverse within itself, and Montreal is diverse around it. 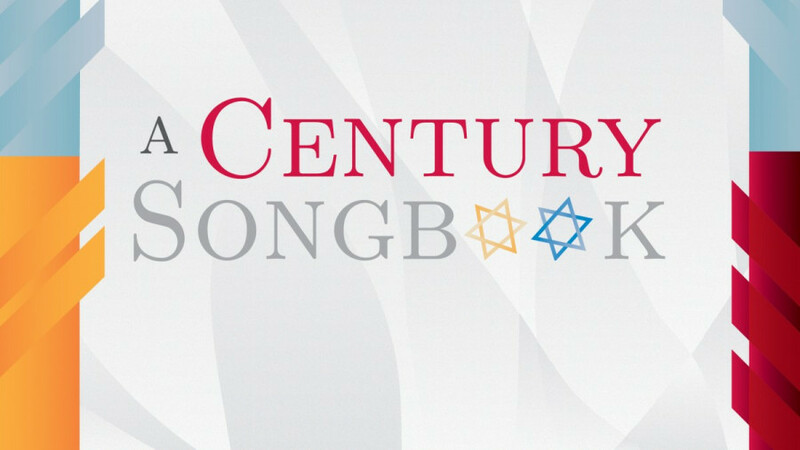 Russian Jews, Ethiopian Jews, Sephardic Jews are all represented onstage in story and song. “It was really important in the celebration of Montreal to really include all parts of the Jewish community, which is much larger than just the Yiddish theatre,” Finkelstein explained.